Day 1: Cancun – Caverns – Coba – Merida. 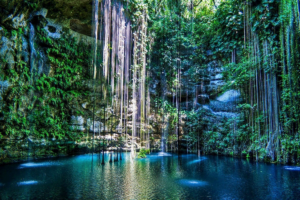 Our Journey Start in a Cenote surrounded by millenary rock formations such as Stalagmites and Stalactites that are part of this beautiful ecosystem and for years has bean an amazing place for Divers and Snorkelers located in the heart of the Riviera Maya. Then We will continue our trip to Coba which is an Ancient Mayan City of classical period, that reach an extension of over 70km2 with more temples than any other Mayan city, and with the tallest Pyramid of the Mayan Empire called Nohoch Mul located at the north of Quintana Roo where you can climb and admire the beauty of the Mayan Jungle from the Top, and then we will continue our our trip to The Colonial City of Merida. 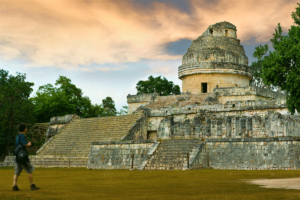 Day 2: Merida – Chichen Itza – Ek Balam – Cancun. The history of Merida and the Yucatan Peninsula is complex and full of surprises, and unknown to many people who visit here. A walk through downtown, or visits to the ruins, haciendas, colonials towns and Mayan pueblos in the area, usually provoke a lot of questions about history. 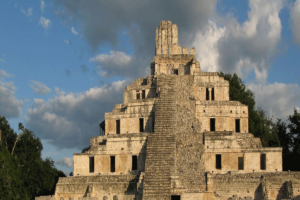 Then we continue with our trip to Chichen-Itza, which is the most famous of all the great Mayan cities. This is somewhat ironic because its most famous structures do not have a typical Classic Mayan architecture but show strong influences from other civilizations from Central Mexico. 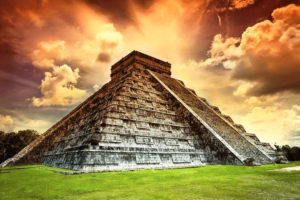 This Great Place will allow you to view the Pyramid of Kukulkan, ‘the feathered serpent’, the field of ball games, the observatory and much more. 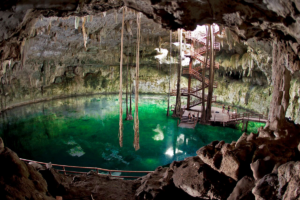 Swim in Ik-Kil cenote, ‘a place where the wind is born’, and the Yucatan’s most beautiful Cenote, Where you also will be able to eat a delicious Regional Lunch. Finally we visit Ek Balam, the archeological center celebrating fantastic discoveries of the last decades. 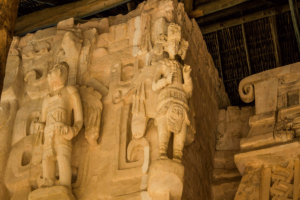 Learn how recent discoveries have flipped understanding of Mayan culture upside down. Only a small area is visible, the remainder of the city is buried under thick jungle. Spot the Acropolis, Ball Game field, Twin Buildings, Observatory, and ritual saunce, the Temascal. Arrive to Cancun.